It’s the end of Knockout Week and the competition has now been whittled down to ten extremely talented amateur cooks - all of whom are desperate to reach the MasterChef semi-finals. In the MasterChef kitchen, the ten remaining cooks are split in to two teams of five. Each team has only one challenge: to cook a three course meal – but in relay. With no communication permitted, each team member will have just 20 minutes to plan, create and cook a starter featuring scallops, a main course with chicken and a dessert celebrating brown sugar. The stakes are high because the winning team will automatically become semi-finalists. The losing team will have to fight it out next week to see if they can earn a semi-final place. 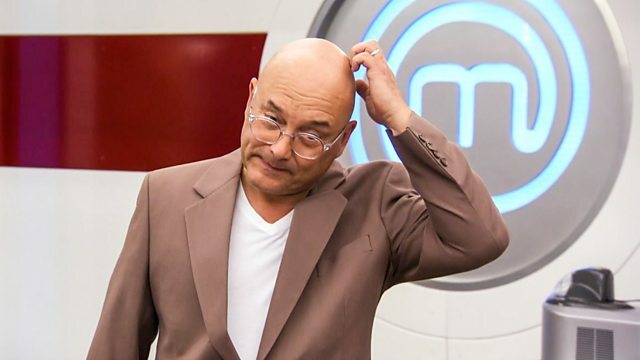 One wrong step and their dream of raising the MasterChef 2019 trophy could be over.